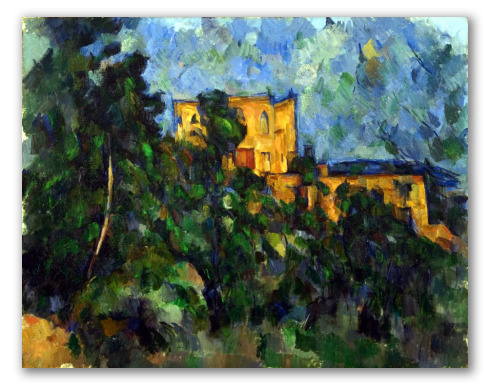 "Black Castle" by Cézanne, Oil Painting Reproduction. 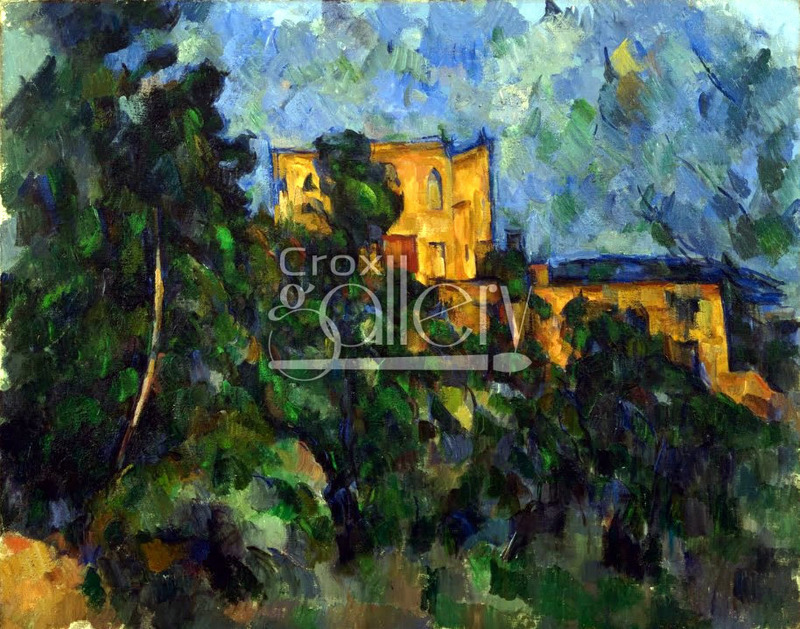 The Black Castle is a representation of a neo-Gothic building that captivated Cézanne, located near Aix, France. It was painted by the artist in 1904. This painting once belonged to Claude Monet and it is currently exhibited at the Museum of Modern Art (MOMA) in New York.